We're back in the saddle again. After a lovely, albeit lightning fast, summer, we are embracing our school day routine once more. Which means books...books...and lots more books. Stealing away time to crack open a book in July and August proved to be a bit tricky for some. But, in the land of perpetual cold (Did I mention we live in the land of perpetual cold? ), I never feel the least bit guilty setting the books aside to enjoy a day in the sun...those days are so rare 'round here. Charlotte's Web- We've read this EVERY-FAMILY-MUST-READ classic once before, but my youngest boys were so young at the time, they don't remember it. After seeing the prize winning pigs at the country fair last month, we were all itchin' to crack it open once again. It's just T-double E-double R-double I-double F...well, you get the idea! Love Idol- Like so many other women, I have spent years seeking the approval of a few overcritical people in my life...approval that, sadly, probably will never come. This book has been an excellent reminder of how to point my gaze to THE ONE whose approval matters most. Power of a Praying Wife- I read this fantastic book a few years ago but am revisiting it for a ladies' Bible study/accountability group that I am in. Wild at Heart- The Hubs and I are slowly...very slowly...reading through this together when time allows. A Girl's Guide to Best Friends and Mean Girls- (Mom Assigned Book) This is one of four life-skills-type books that I have planned for her to read during the first few months of school. The Ark, the Reed, & The Fire Cloud- (Read for fun book) We discovered this new series at our local Christian bookstore. Each book tells the epic adventure of one of the major stories in the Bible but from the perspective of Max, a Scottish terrier, and Liz, a French black cat. The books are each well over 400 pages long, so I suspect she might still be reading this one next month. But, since she says it's fantastic, maybe not. The Original Boxcar Children- (Mom assigned book) He started this towards the end of August, but due to fun in the sun he hasn't gotten very far in it yet. Buttons for General Washington- (Mom assigned book) Blonde Warrior loves ANY book about Washington or Lincoln. So, this book has naturally made a great start to the school year. 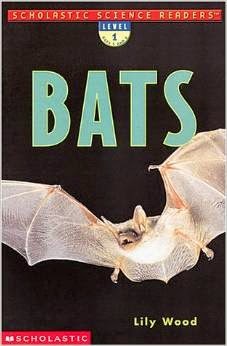 Bats- (Read for fun book) Yep. He wants to read a book about bats. Fine by me. Just don't expect me to be peering over his shoulder while he reads it. Reading For Fun Enrichment Library- This is a series of emergent readers designed to follow his phonetical progression. So, that's what we'll be reading at the start of the school year. How about you? I love this, Rachel. Thank you so much for taking the time to give me so much encouragement. 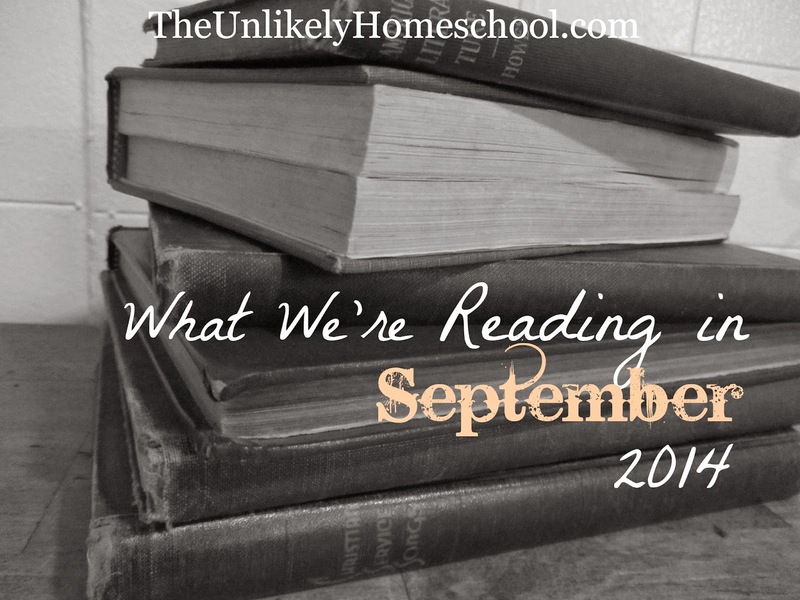 As I mentioned in this post, we are reading Charlotte's Web too. My middle son is just as eager with questions about the story only he's more concerned with what Charlotte is up to. Funny! I hope you and your little ones enjoy your book list you've put together. Remember, your labor is never in vain. 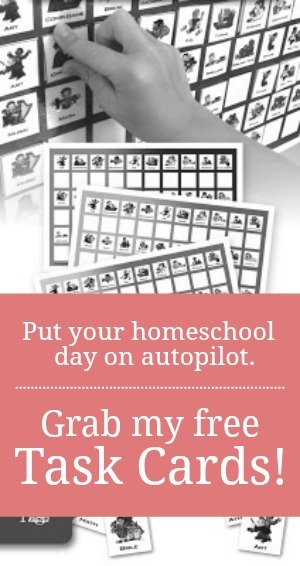 The time you in invest into your children and into homeschooling will return in abundance! We've not read the Charlie series. But, maybe I should add that to our list. I've never liked fantastical books...personal preference. But, I've got a couple of kids who love them. Thanks for the reminder. I am reading Conform by Glenn Beck, and Mrs. Lincoln's Dressmaker. I just finished The Spymistress and it was excellent. Love historical fiction! !